Happy Leap Day! I am not reading as much as I would like, but I try to squeeze in a chapter or two a day. Below, are two books that I recently enjoyed reading. 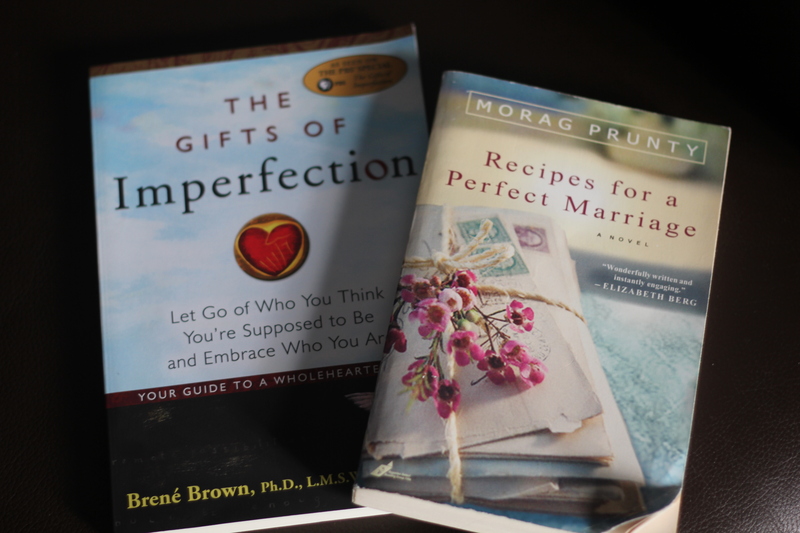 Doug gave me a novel, Recipes for a Perfect Marriage, by Morag Prunty, which was a very good read. Check out this link. I also enjoyed reading, The Gifts of Imperfection, by Brene Brown. Check out this link. Biscuit continues to do well with his recovery from surgery. He only has two more days in his t-shirt! I’m not one for reading philosophy much. Honestly, when I have time to read something other than science books it is is a rare day indeed! However, I did manage to read, The Help by Katherine Stockett over winter break and I really enjoyed it!